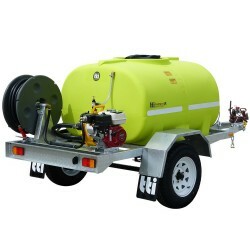 Launching a quick response to combat spot fires has never been easier with Rapid Spray’s range of Honda-powered fire fighting and dust suppression trailers. 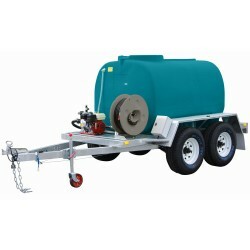 Built with durability, performance and reliability in mind, our range of Australian made trailers are perfect mobile response units, easily attachable to your truck, car or ute. 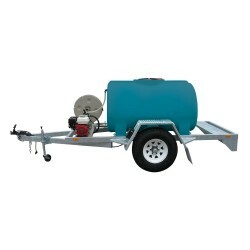 Fitted with durable polyethylene tanks and a high performing Honda motor, our sturdy trailers offer unprecedented control, functionality and mobility when it comes to launching an effective defense against spot fires. 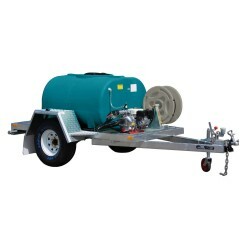 High performance water pumps generate the pressure needed to combat burning fires. With a number of attachable extras, such as additional hose reels and deflector sprayers (great for watering, wetting down and dust suppression) our units are customisable to suit your specific needs. 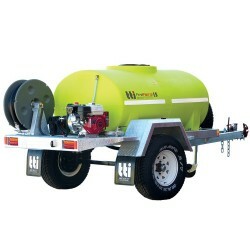 Our trailers are constructed with galvanised steel and come with 14 or 15-inch resilient wheels, hydraulic brakes, lights and robust suspension – helping you traverse uneven terrain with ease. 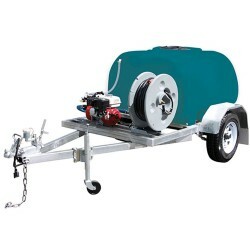 Attachable to cars, trucks or utes (via a 50mm tow hitch) our robust trailers can help support your fire fighting efforts anywhere and at anytime. 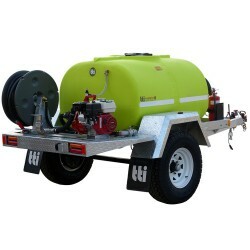 The onboard tanks can be filled quickly – on the go – from many different water sources, including dams, rivers, lakes, pools and troughs, helping you put out that fire in the shortest amount of time. 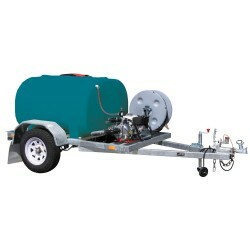 Our trailers also come with adjustable fire fighting nozzles, allowing you to control the spray pattern to suit the fire. 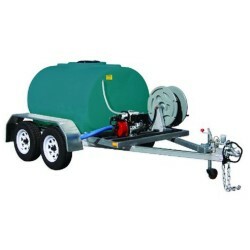 Available in a number of different sizes and colour options, our fire fighting and dust suppression units come shipped with all necessary hose equipment, connectors and over 36 metres of durable fire fighting hose – that’s more than enough hose to battle even the most fiercest of fires. 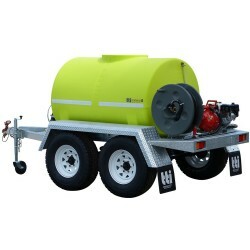 If you’re looking for a reliable fire fighting defense system, Rapid Spray's range of fire fighting and dust suppression trailers are an excellent choice. They may just save your life, limb or property one day.